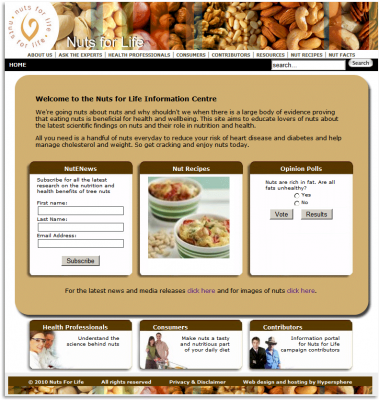 The NutsforLife website is a Joomla based website. Nuts for Life is a nutrition communications initiative established for the Australian tree nut industry to provide information about the nutrition and health benefits of tree nuts. Joomla provides for a comprehensive feature set focused on information delivery and community communication.